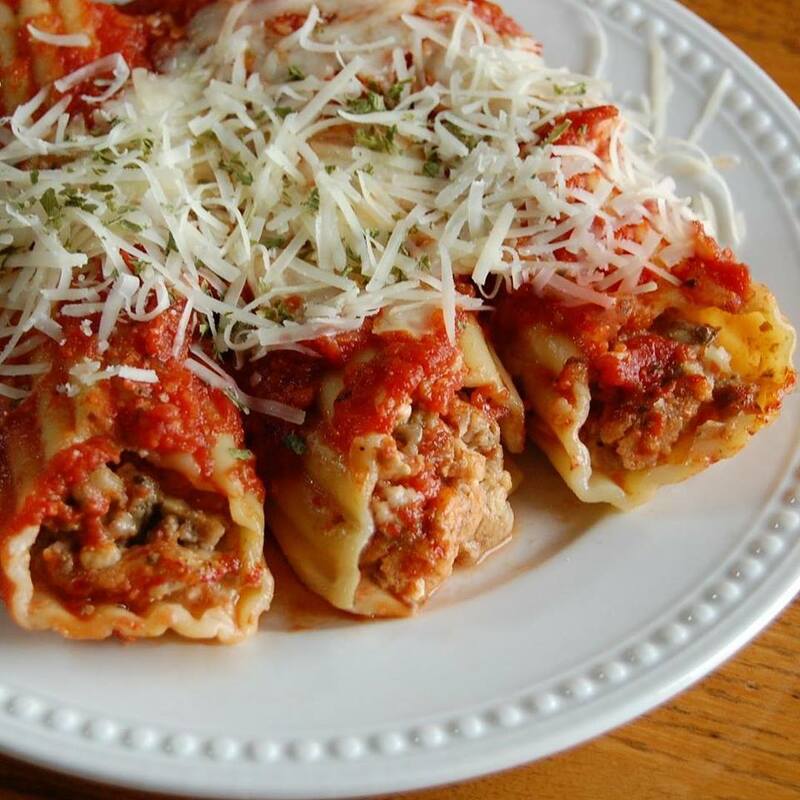 Recipe by Terri Cleveland - Meat and cheese stuffed pasta shells, smothered in tomato sauce, Mozzarella and Parmesan cheeses...Benissimo!! Bring a large pot of lightly salted water to a boil. Add pasta and cook for 8 to 10 minutes or until al dente. Drain and set aside. Meanwhile, in a large skillet, brown beef with onions and garlic over medium heat. Drain off excess grease and cool. Preheat oven to 350 degrees. Lightly grease a 13 x 9-inch baking dish. Pour just enough spaghetti sauce in dish to cover the bottom. In a large bowl, combine beef, cottage cheese, 1 cup mozzarella cheese, Parmesan cheese, egg whites and oregano; mix well. Place the filling in a large piping bag. Fill each shell with meat and cheese mixture. Place stuffed noodles in the baking dish. Cover stuffed noodles with remaining spaghetti sauce and top with remaining 1 cup mozzarella cheese. Bake for 45-50 minutes. Sprinkle with more Parmesan cheese and fresh chopped parsley if desired. Enjoy with a fresh green salad and garlic bread.